Vint Cerf made a point a number of years ago that the term internet telephony was doomed to die like the phrase horseless carriage. For today, when it comes to IoT analytics, it’s unclear if some companies are unaware of the value of sensor information for business analytics or are past the point of differentiating. Certainly, there are some business analytics systems that are totally human centric and represent the lifeblood of human resource analysis. These companies I have not included in our hot list, but should be expected to have connectors into the IoT analytics ecosystem in the near future. It is a safe assumption that many of the business analytic tools feature as- a-service cloud services with mobile/web dashboards. I have also excluded them from this list if they are not specifically using sensor or machine data. 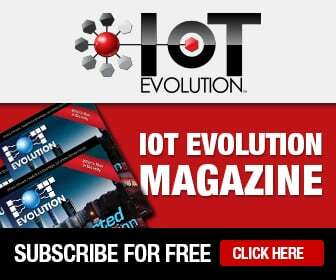 Focusing on the hot list for IoT then, I have had to make a determination as to whether a company implies IoT analytics in its business intelligence systems or is not involved. I believe I have curated the list correctly. In some cases these companies have used IoT and machine learning as part of their marketing presence. Where that is the case I will highlight them. However, once again, if you are a corporation already using business intelligence systems, I believe all of these systems will gather IoT information to allow for better decisions in the future. It is evolutionary and inevitable. Providing a definition and differentiation is a good first step. Business intelligence refers to technologies that acquire and transform data into relevant information that can be used to analyze business operations and opportunities. Analytics is the discovery, interpretation, and communication of meaningful patterns of information. Communication of the information is often done with data visualization techniques. Analytics applied to IoT spans the gathering of data from sensors and other IoT components to the interpretation of human interaction with the information as part of the workflow of a business process. For example, Uber has IoT analytics that use smartphones for location and little more, while Teradata gathers machine data to reduce manufacturing flaws. IoT analytics can be differentiated from other analytics and business intelligence only by the absence of data from resources that do not include Internet of Things components – for example, invoicing systems or human resource evaluation tools. IoT Evolution and James Brehm & Associates are conducting a survey of enterprise executives about their use of analytics platforms. We have listed 34 possible platforms plus an “other” column. It’s clear that IoT analytics impacts the use of business intelligence systems, and most enterprises have legacy. Splunk points out that machine-generated data (including websites, communications, networking, and complex IT infrastructures, etc.) hold critical information on user behavior, security risks, capacity consumption, service levels, fraudulent activity, customer experience, etc. Machine data and IoT are the largest portion of big data. The old rule in IT was that you married your databases, and when it comes to big data there are many large companies that are probably at the heart of your existing big database systems. The company Synchronoss points out that 85 to 90 percent of the big data effort has been in the collection, not in the analysis, of the data. If you have infrastructure from a big company, much of your big data source will come from their systems. Accenture, Amazon, Cisco, Dell, HP, IBM, Intel, Microsoft, and Oracle all have analytics platforms with capabilities that include IoT evaluation tools, machine learning, and security. Salesforce and SAP represent a strong foundation that may be at the heart of your business intelligence, and therefore will be a place where you can integrate IoT analytics. For the purpose of this hot list, I have somewhat unfairly treated the large companies as if they are part of your existing legacy. Allowing your legacy leaders to tell you of their capabilities is an action item after reading this article. Some IoT analytics are applied to pools of information that have been aggregated over time, while other systems look to ingest and interpret information in real time. Many systems are being designed to take advantage of speed with Hadoop and edge computing solutions. In many cases the use of machine learning related to the patterns and the recognition of anomalies triggers actions without human interaction. For the purposes of this hot list, I will try to identify who provides analytics with and without machine-learning capabilities. The discussion of preventive and predictive capabilities of these systems often suggests that real-time information is critical to the analytics ability to support machine learning and pattern detection. Dale Skeen, CTO of Vitria, has pointed out that real-time information always improves the response time. In general, the way I interpret what companies have said to me is often that preventive systems take advantage of the big data lakes to look for historical patterns beyond specific systems. Data streams have a history of being more purposeful in the analysis with real-time pattern recognition. The general rule of thumb by the industry is that predictive systems are available today that can be used to support virtualization and redundancy. Conclusion: Most companies are just at the fledging stage of their IoT implementation, with either one existing legacy system being converted or a greenfield having been deployed and tested. IoT analytics as part of your business intelligence then has been driven by this implementation. Whichever group you are in, it’s probably worthwhile to explore the advantages of these hot list companies and your existing vendors. In many enterprises, the adoption of IoT has been driven by operations requirements, and IT has been informed later or still not allowed to ingest the information into the business intelligence systems. Big data is very much an IT-driven opportunity, and IoT analytics represents a junction of operations and IT’s need to manage information effectively. It’s unlikely you can’t integrate the tools from a new solution provider to your legacy business intelligence, but depending on the nature of the implementation you may find the systems stand alone well and deliver capabilities at the edge that outweigh the need for integration. Appian http://www.appian.com provides business process management and case management software for enterprise in a variety of industries including insurance and wearables. The platform unites users with all their data, processes, and collaborations – in one environment, on any mobile device, through a simple social interface either on-premises and in the cloud. Cloudera http://cloudera.com “delivers the modern data management and analytics platform built on Apache Hadoop and the latest open source technologies.... This highly customizable big data framework collects, stores, and analyzes a variety of sensor and log data from Internet of Things deployments. Industry applications in the IoT space (e.g., predictive maintenance, machine diagnostics, telematics processing, remote monitoring, and early warning systems for automobiles) are built on this framework. TIBCO http://www.tibco.com Spotfire is analytics specifically designed to answer questions as fast as possible. Computer-integrated manufacturing systems are rapidly being equipped with sensors, controllers, and other embedded devices that are able to manage production, equipment maintenance, product quality, inventory, and supply chain operations. Manufacturers that are able to collect real-time sensor data and mashups of external data sources can use predictive analytics to identify potential equipment failures and operational discrepancies. This information enables manufacturing leaders to take proactive steps to prevent costly downtime and improve the operational efficiency of plant floor activities.